How a Hollywood movie changed the lives of an entire Samoan village. 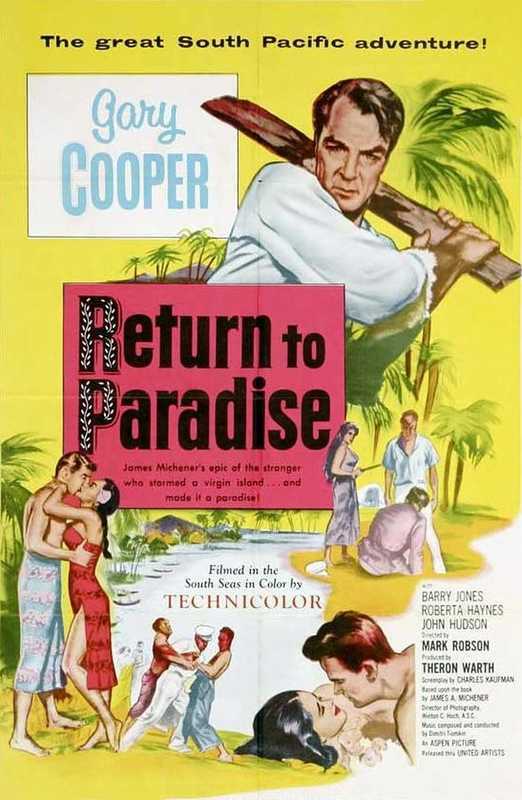 In 1951, when the famous director Mark Robson and his studio scouts had finished scouring the South Pacific for a location to shoot the James A Michener follow-up, Return to Paradise, they settled on the tiny remote village of Matautu on the southwest coast of Upolu instead of their intended Hawai’i. 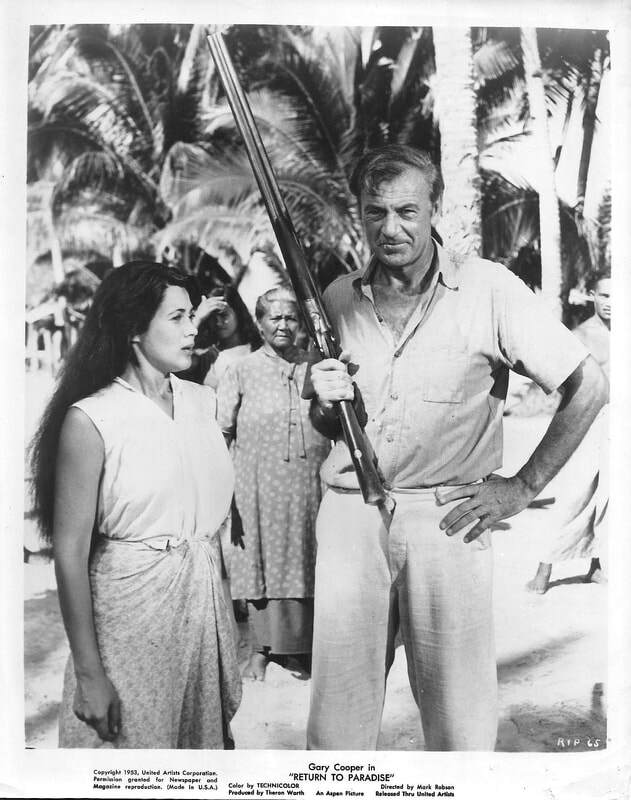 Wanting to present a realistic backdrop of island life, Robson chose the idyllic island of Upolu for its beautiful natural scenery, one of the film's strongest assets. The movie was a sequel of sorts to Michener’s Pulitzer Prize-winning 1947 book Tales of the South Pacific, which had famously spawned the smash 1958 Broadway musical and film South Pacific. A year later, the Hollywood circus arrived at the tiny village, bringing with them such stars as Gary Cooper and Roberta Haynes to begin the months of filming that would occupy the community continuously throughout the period. A great many locals participated in the production as extras and crew. The movie was released a year later in July 1953 and was a box office success and also launched the career of local actress, Moira Walker, who was plucked from behind the counter of the bank when the producers went to do business and she caught their eye. In an amusing twist, the vivacious 21-year-old provoked the ire of leading lady Roberta Haynes, who played her mother for being rather too attractive. ““When Cooper would walk by me he would playfully say, ‘Hello daughter’ and kiss me on the forehead and I would flirt a little,” recalls Moira, now 85. She recalled Haynes becoming so jealous she threw Moira’s costume in the latrine just before she was due to shoot a scene. But she laughs heartily about that now. “The whole cast and crew including all our locals became one big family and that’s what happens in families sometimes,: she laughs. The spirit that evolved from those few short months in 1952 clearly left an indelible mark on the idyllic beach that faces the glorious setting sun every evening and it became the perfect setting for the resort built by Ramona and her family in 2014. Despite many tempting offers from big resort businesses the community, through their chiefs, declined each application, preferring to retain customary ownership for the benefit of their people. Then finally, a group of Samoan investors provided support for Ramona and in 2011, the work began. 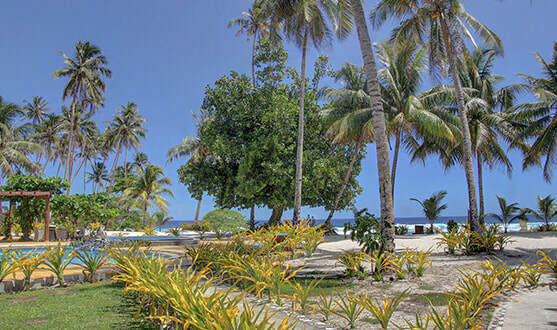 The jungle which stretched down to the beach was cleared by hand, and the 100 per cent Samoan owned and operated resort you see today is proudly staffed and operated by the extended family. The movie is screened every week in the bar and the beach, with its very recognisable rocky outcrops, can be seen from every table. A wedding chapel has been added to the tiny headland where couples receive the blessing of the waves along with their vows. 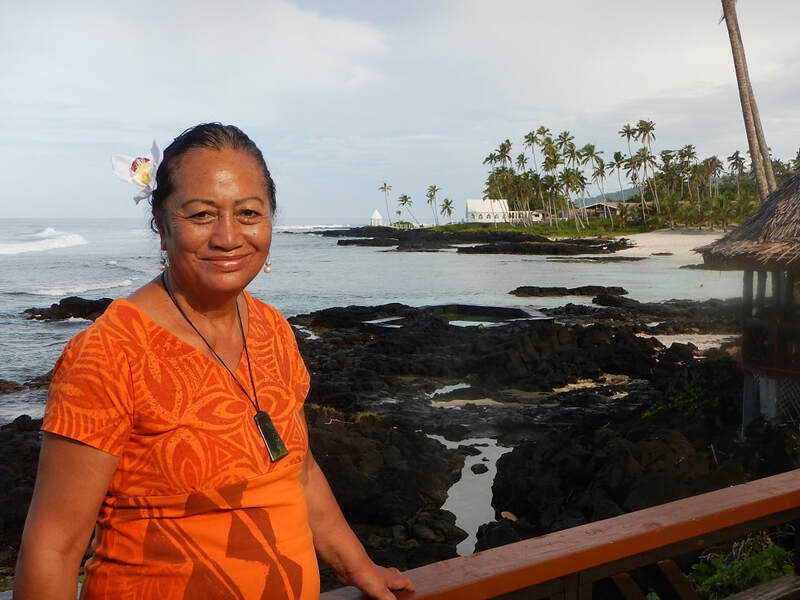 “Even though we have a modern resort here on the beach, the essence of our land remains and every guest experiences the same special Samoan hospitality that captured the imaginations of Hollywood all those years ago,” says Ramona as she gestures toward the horizon. Ramona is clearly onto something as the guest feedback is overwhelming positive. The critical TripAdvisor website rates Return to Paradise Resort a whopping 4.5 with such comments as “our week at Return to Paradise is our new benchmark” and “surpassed all expectations”. 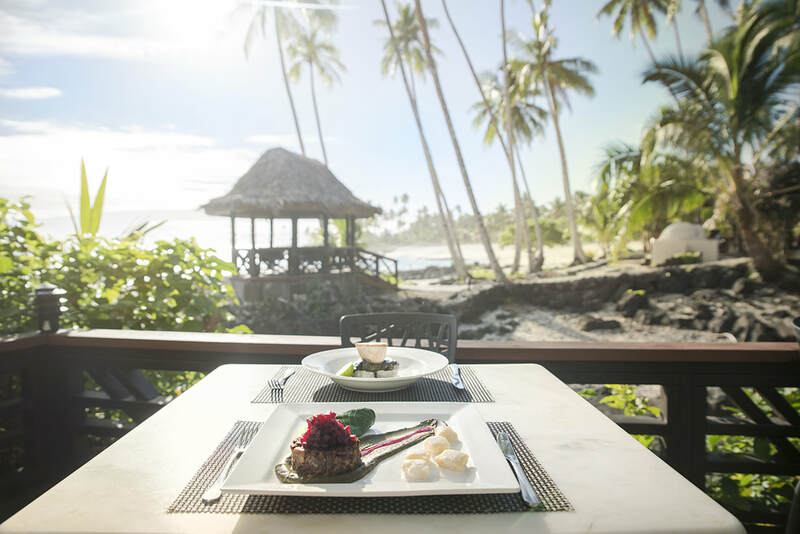 Ramona invites you to experience for yourself the unique serenity of Lefaga Samoa. 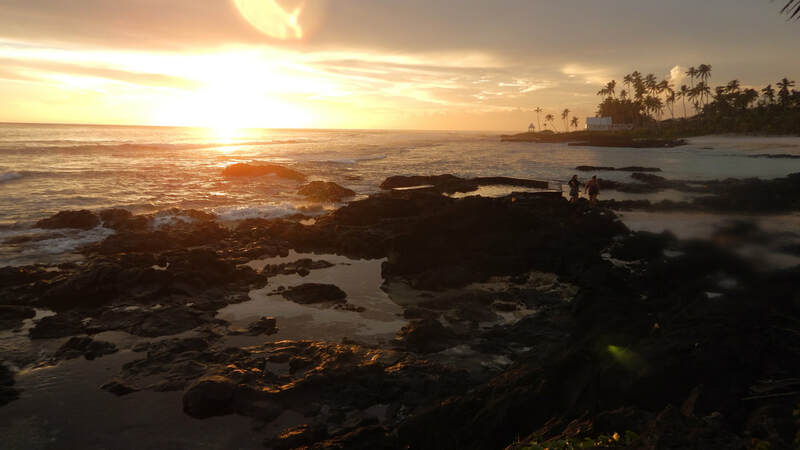 There a wide range of ethical local tours available including swimming with turtles in a secret location and snorkelling in the village's own giant clam reserve. Open daily for Breakfast, Lunch and Dinner. The Bar opens 10am-10pm daily. Day guests are welcome and may swim at the beach if dining in the restaurant. 1. Ramona Su’a Pale Gilchrist. Return to Paradise Resort.